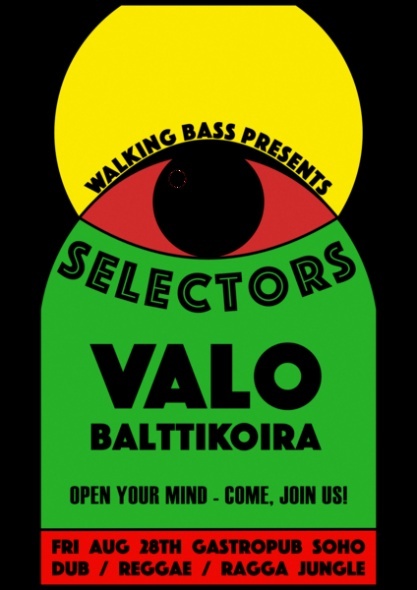 Selectors Valo and Balttikoira blast reggae styles from the deepest dubs to the bangin' ragga jungle anthems without forgetting the roots. Reggae vibes all night! Kitchen will be open until about midnight. Bring your friends and join the irie mood!